Revolve around the places which would take you to the excursion of Lord Buddha’s life and help you visit the places that have been important in his life. Come and embark upon this journey with this Golden Triangle with Buddhist Tour package especially created by the team of Travelsite India for a religious back packer like you, keeping in mind all your needs. As you arrive at Delhi you will be assisted to your hotel, check in and relax. Overnight stay at the hotel. Cover the grand monuments of Delhi by exploring places like Laxmi Narayan Temple, India Gate, the Parliament House etc. After the lunch you can go about to visit various places like that of Jama Masjid, Red Fort, Gandhi Memorial and also enjoy the light and sound show at Red Fort in the evening. Overnight stay at the hotel. On this day we would move towards Jaipur by road. As we arrive there, check into the hotel pre-booked for you. The rest of the evening is free for leisure activities. Stay at the hotel for the night. You can also enjoy the local markets of the area in the vicinity of the hotel. We start our day with an excursion to various tourist hotspots such as the Hawa Mahal, City Palace, Johari Bazaar, Royal Observatory and Nawab Sahab ki haveli. 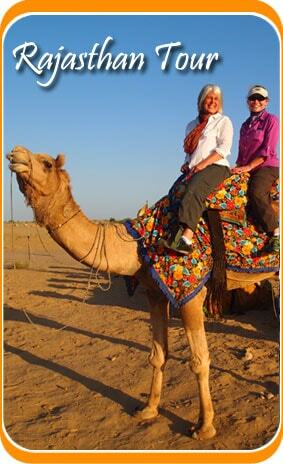 Later go on to visit the Amer Fort with a ride on a caparisoned elephant to Amer Fort group of monuments. Stay at the hotel for the night. Post a hearty breakfast; embark upon your journey towards Agra. We would halt at Fatehpur Sikri and visit the ruins of the city and then as we arrive at Agra, check into the hotel pre-booked for you. 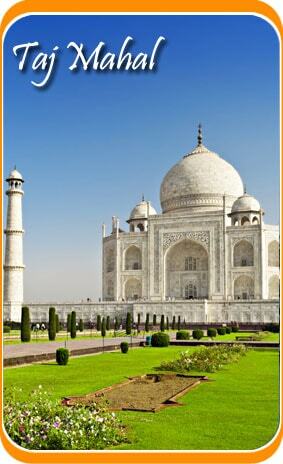 After some rest we would go and visit places like the Taj Mahal, Red Fort and the Tomb of Itmad-Ud-Daula. Stay at the hotel for the night. As you complete your excursion to Agra by visiting places like the Agra Fort and the tomb of Itmad-Ud-Daula, board an overnight train to Varanasi – the holy city of India. Overnight in the train. Check into the hotel as you arrive at the hotel. Enjoy the shimmering flowing water of the River Ganges by an early morning boat ride through the river. We would then proceed to visit the Sarnath – an important Buddhist site. After Sarnath we would then go to Bodhgaya. Stay at the hotel for the night as we reach Bodhgaya. Hit the road as we start an excursion to the Mahabodhi Temple. Visit the great monument as you witness a part of the life of Buddha as you explore the Temple. The evening is at leisure. Check into the hotel and stay for the night. This morning w would leave to Patna by road. En-route we would halt at various places important in Buddhism such as the Nalanda, Rajgir, Sapta Pari caves and then the Venevamas. Stay at the hotel for the night. From Patna we would proceed towards Vaishali. We would cover places like the Ashok Pillar, Chaumukhi, Lotus Tank and other tourist hotspots, important for Buddhists. We would then move to Kushinagar for an overnight stay. The first half of the day would be dedicated to an excursion to Kushinagar, visiting places like the Japan/Srilanka Buddhist Center, the Mahanirvana Temple and some of the other monasteries of the place. We would then leave for Lumbini. Stay at the hotel for the night. We would start our day by visiting places like Ashoka’s Pillar and the Mayadevi Temple and some monasteries. En-route we would visit Sravasti and explore the ruins of the city and then visit one of the most important monastery of the Buddhist religion – The Jetavana Monastery. We would then leave for Balrampur. Check in and stay at the hotel for the night. We would now go for an excursion to explore the city of Balrampur and then have lunch. In the afternoon we would leave for Lucknow. Stay at the hotel for the night. This day would be dedicated to explore the various monuments of Lucknow. Visit places like the Rumi Darwaza and Imambara. From here we would move to the Airport to catch a flight to Delhi. Upon arrival; check into the hotel and stay for the night. After a light breakfast drive to the hotel and board a light to your home place. This is the end of your Golden Triangle with Buddhist Tour.